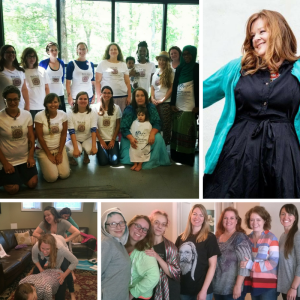 Looking for a doula with the highest level of professional development and education? Our doulas complete the most academically rich, extensive training in the industry. Our student complete over 300 hours of educational training and development. Our professionals upon certification are the most experienced Certified Doulas, attending more births and completing more professional development and an academically professional certification. Nashville Tennessee 100 mile radius around that also. Services offered: Birth Doula, PostPartum Doula and Photography services. I offer birth, postpartum and fertility doula services. I am also trained in bereavement and loss. I offer support in breastfeeding, babywearing, cloth diapering, and natural parenting. As a Postpartum Doula I will come to you whether hospital or your home. Care for you, and your family. Assist in family bonding and growth. Parenting skills and infant care. Sibling help, and light housework. Mothering the mother is most important. My goal is to leave the family feeling comfortable and confident to continue caring for their infant. Postpartum Doula- I am available to offer my support and dedication to families that welcome a new baby.